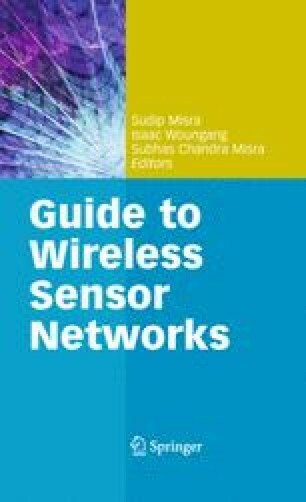 A major research challenge in the field of sensor networks is the distributed resource allocation problem, which concerns how the limited resources in a sensor network should be allocated or scheduled to minimize costs and maximize the network capability. We survey the existing work on the distributed resource allocation problem. To address the drawbacks in the existing work, we propose the adaptive distributed resource allocation (ADRA) scheme, which specifies relatively simple local actions to be performed by individual sensor nodes in a sensor network for mode management. Each node adapts its operation over time in response to the status and feedback of its neighboring nodes. Desirable global behavior results from the local interactions between nodes. We study the effectiveness of the general ADRA scheme for a realistic application scenario, namely, the sensor mode management for an acoustic wireless sensor network (WSN) to track vehicle movement. An enhanced version of ADRA, ADRA with node density compensator, is also proposed to improve the performance of the algorithm for randomly distributed sensor fields. We evaluated these algorithms via simulations and also prototyped the acoustic WSN scenario using the Crossbow MICA2 motes. Our simulation and hardware implementation results indicate that the ADRA scheme and its enhanced variant provide good trade-off between performance objectives such as coverage area, power consumption, and network lifetime.